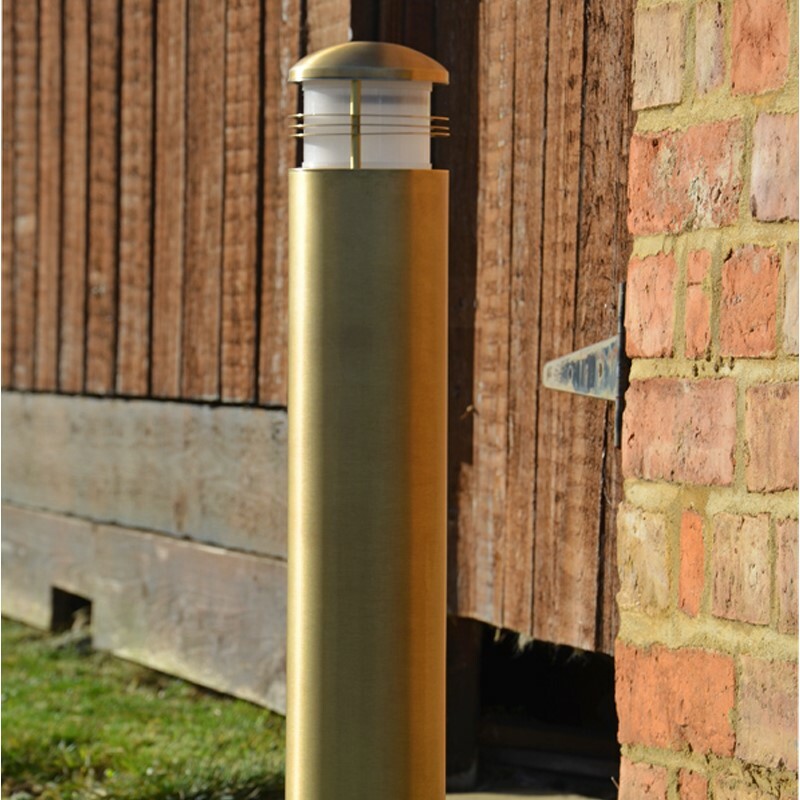 The Charleston Solid Brass Bollard is naturally durable and extremely robust. As well as being extra strong, this classic path light looks extra smart. The decorative, high end, gold colour is the perfect choice for classic locations. This finish is ‘Antique Brass’. 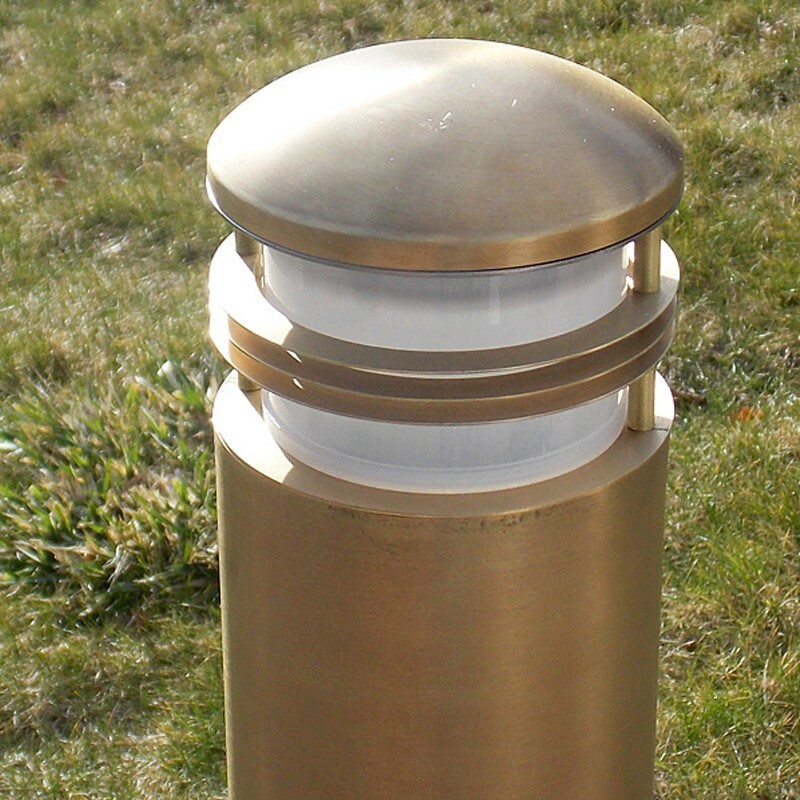 Brass path lights are sometimes matched to smaller gardens or lighting systems. 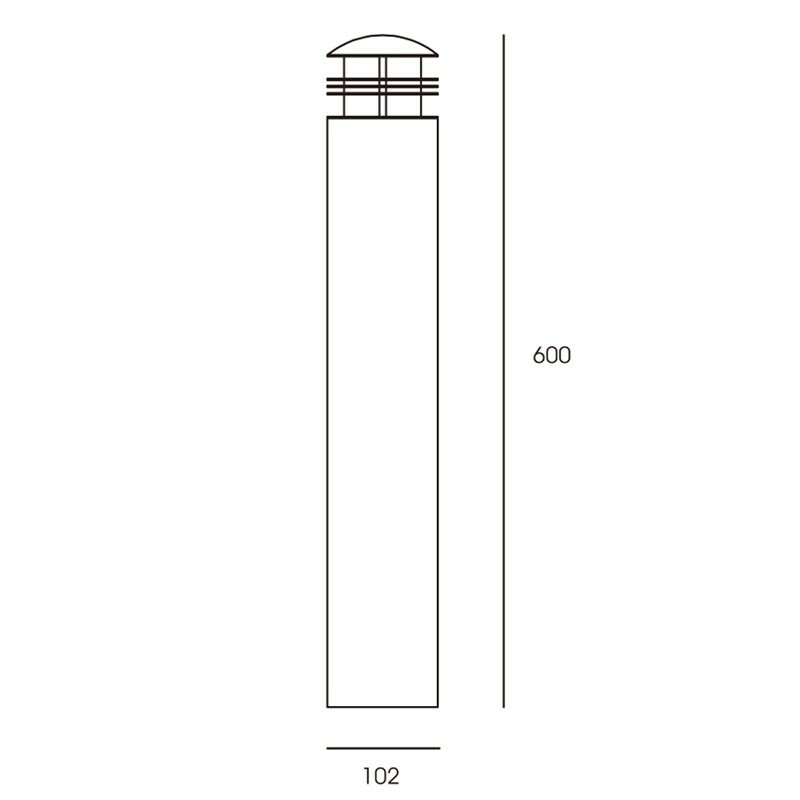 However, this impressive garden path light is 600mm tall and will make an impression. It has 3 protective brass rings around the diffuser. These protective rings guard the light source and also add further charm to the light. It has an IP rating of IP55 meaning it can withstand outdoor environments up to a high level (Full IP rating info. below) . Once illuminated, light diffuses evenly in 360º. 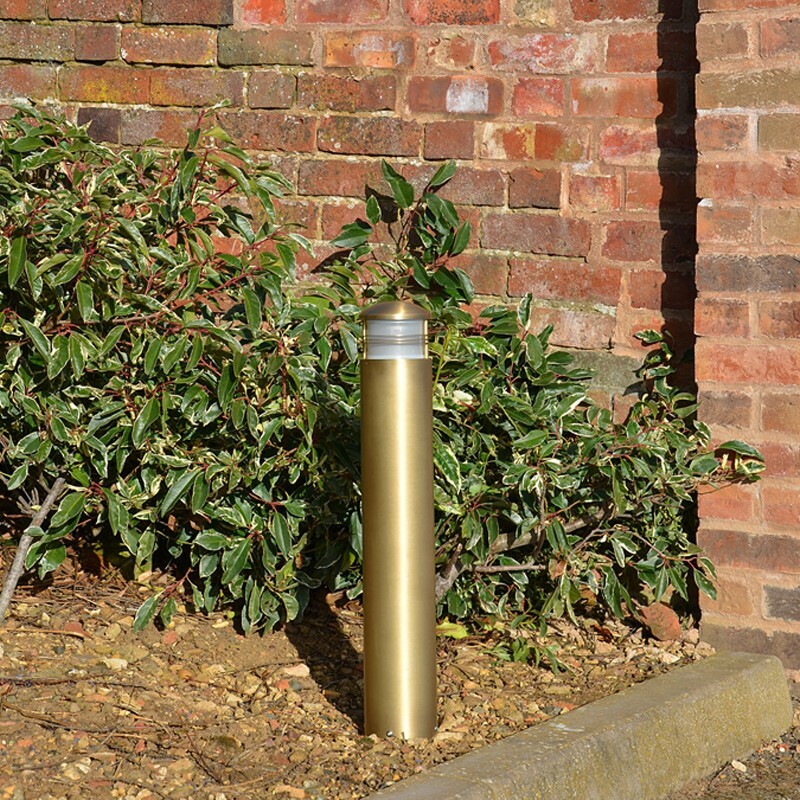 This subtle glow of light diffusion is perfect for lighting path areas to guide the way, on driveways or as part of a feature area in a garden.